The second of four posts I wrote for Tiny Cartridge has been published on the handheld-focused site. 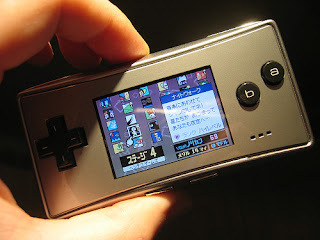 The headline I wrote for this post--"Three GBA imports (not Mother 3/Rhythm Tengoku) that should hit the eShop"--does a pretty good job of describing what it's all about. Basically, I suggest that, assuming they eventually decide to sell GameBoy Advance games via their 3DS eShop, the folks at Nintendo should give Westerners access to a few first-party releases that have never seen the light of day in our neck of the woods. To see which games were included on my list--and to hear why I selected them--check out tinycartridge.com when you have a chance. I love your list posts, and this is no exception. You'd know my answer already, probably...Mother 3 or nothing. Don't say that, Justin! (Mother 3 or nothing.) I mean, yes, it would be great for them to give us Mother 3, but -- and I hate to say this -- I really doubt they're ever going to do it. Hey, at least you can play the fan translation, which is pretty awesome, IMO. Nintendo has so many opportunities to make money off its fans... Releasing Mother 3 as a digital title would be one fantastic way but I also think they won't. Why, Nintendo, whyyyy?! They even did a sort of easter egg thing with Mother 3 at their E3 booth last year or the year before. They know how intense the Mother fanbase is but I guess it's just not big "enough" for them. True story. I'm sure they won't, and I'm not holding out hope that they will. But...yeah...that's my #1 pick. Justin: Yeah, I don't think we're ever going to see an official Mother 3 release of any sort in NA. I hope I'm wrong, though!